The 1990 IPCC report also had detailed Arctic sea ice satellite data from NOAA, which showed that Arctic sea ice extent was much lower in 1973 than in 1979. Government scientists also knew in 1985 that Arctic sea ice extent was much lower in the 1940’s and 1950’s than it was in 1973. In the 1950’s scientists were well aware that the “thin crust” of Arctic sea ice was disappearing, and predicted an ice-free Arctic within a generation. Scientists were also aware that by 1970 Arctic sea ice was getting much thicker and more extensive. This prior warmth and subsequent cooling in the Arctic was inconvenient, so NOAA and NASA made it disappear. In 1985 Phil Jones At CRU showed a large global warming spike around 1940, followed by about 0.5C cooling. The 1940’s spike was inconvenient for Phil Jones and the rest of his cohorts, so they discussed how to get rid of it. And that they did. They have completely eliminated the 1940’s blip and subsequent cooling. It no longer exists in the temperature record. NASA has also removed the inconvenient 1940’s warmth and subsequent cooling, just as scientists discussed doing. 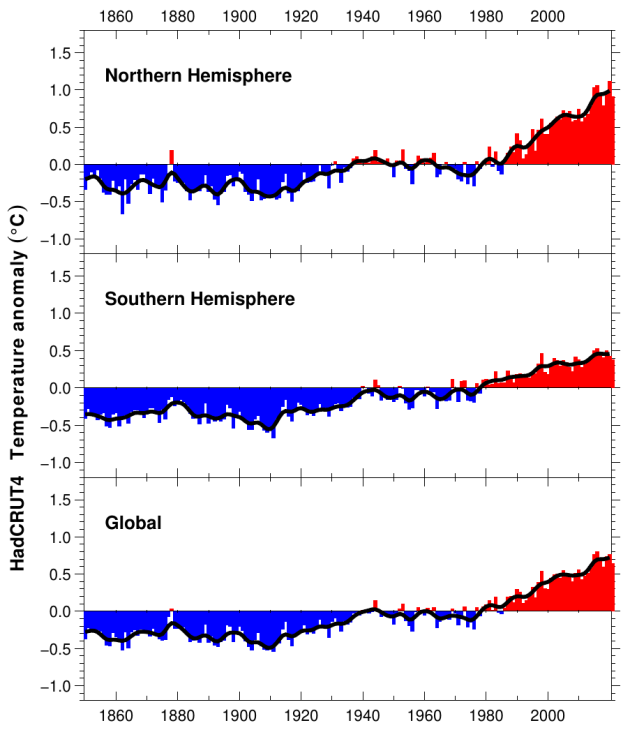 In 2013, the post-2000 global warming pause was central to the IPCC report. This was inconvenient to NOAA and NASA, so Tom Karl and Gavin Schmidt made it disappear. This fraud was so blatant that even NOAA’s principal scientist John Bates, and PennState hockey stick fraudster Michael Mann called it out. 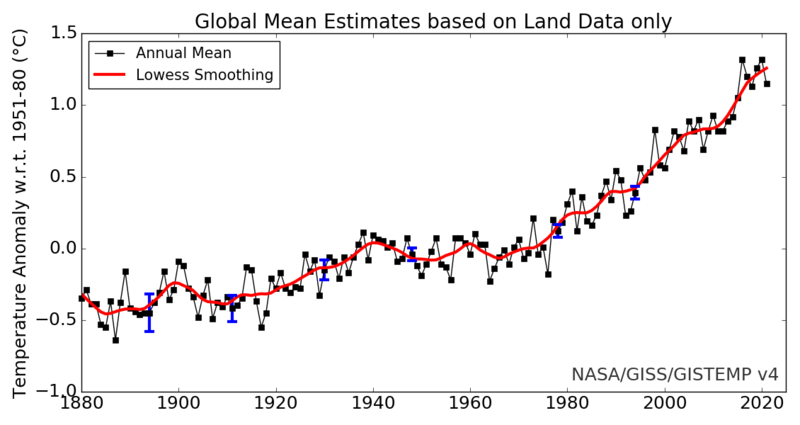 In 1990, NASA determined that satellite temperatures were more accurate than surface temperatures, and should be adopted as their standard. 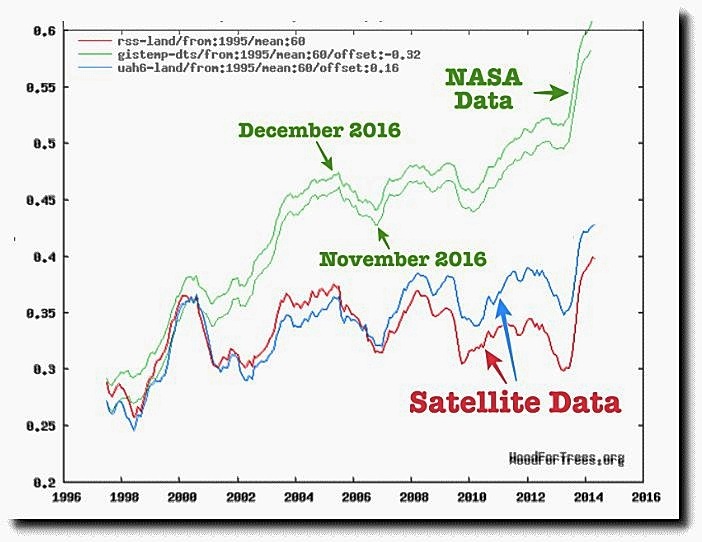 Satellite data does not give NASA the answer they want, so the US space agency ignores satellites, and instead releases fraudulent surface temperatures. The fraud is not limited to temperature data. In 1982, NASA’s James Hansen showed that sea level stopped rising after the mid-1950’s for twenty years. NASA has since erased this pause, and turned it into an acceleration. This is just a small sampling of the climate fraud being done right under our noses by NASA, NOAA and CRU. It is essential that the Trump administration end this fraud. The biggest fraud of all though was John Cook’s 97% consensus paper, which gave politicians and journalists license to ignore all data, and rely simply on appeals to fake authority.